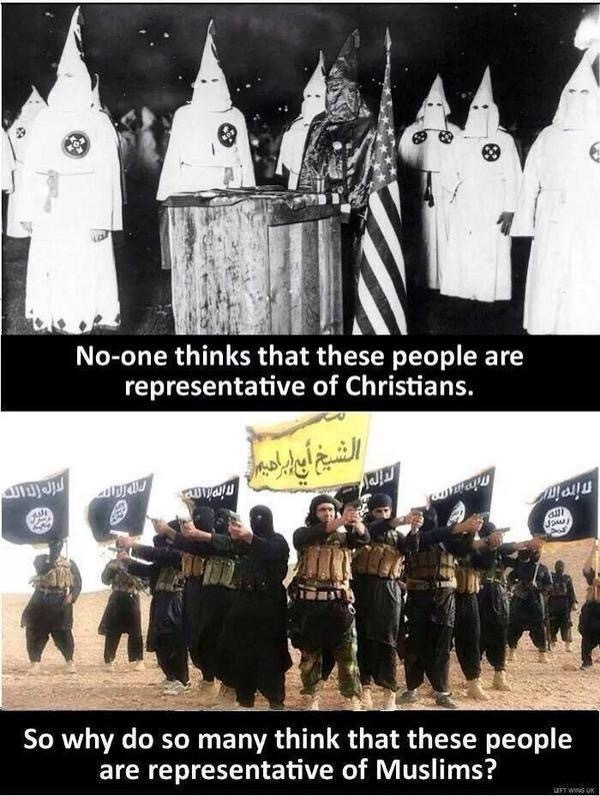 This “meme” is making the rounds in the wake of the Paris attacks, and some form of it has been resurrected after each new instance of Islamically influenced terrorism. It is a flawed syllogism. The first is stupid, prejudicial, over-generalizing and wrong, and I’ve certainly never said it. The second is accurate, whether one wants to accept it or not.